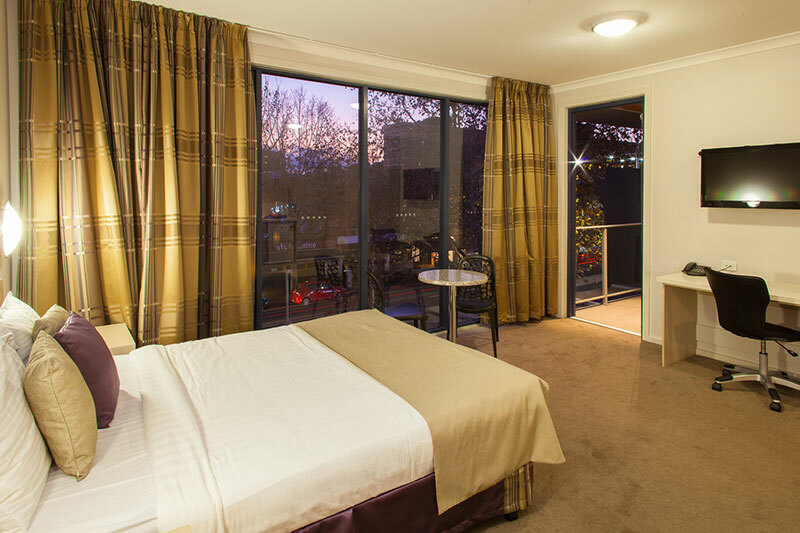 The Lygon Lodge combines an ideal location - at the city end of Lygon Street, with affordable tariffs and a friendly intimate atmosphere to make it the perfect base to enjoy all that Lygon Street has to offer. 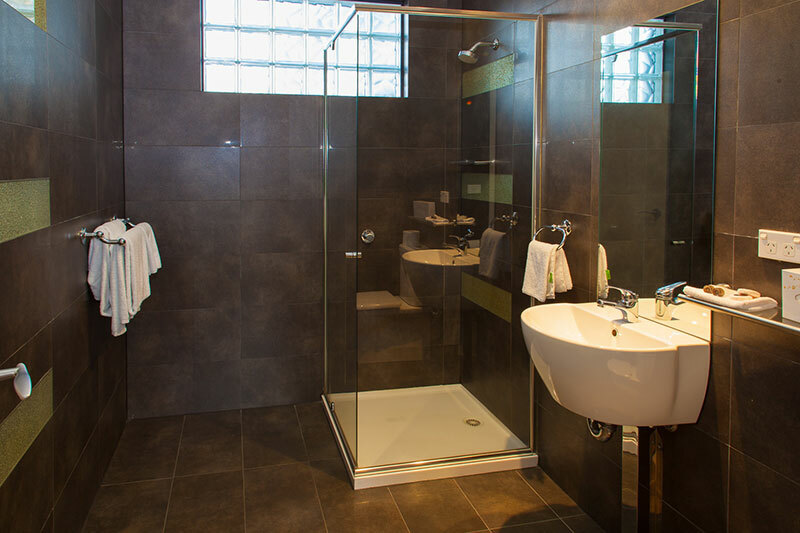 All rooms and apartments are tastefully furnished, some with kitchens. 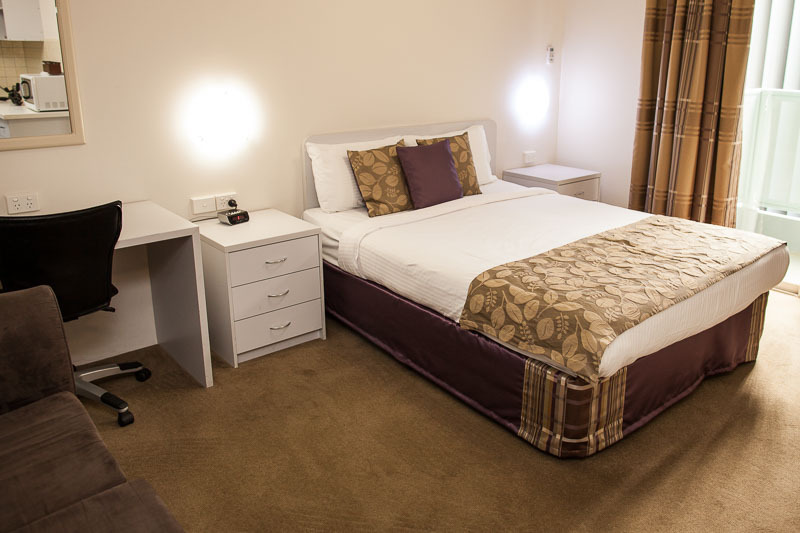 The business person is catered for with 24 hour reception, facsimile service and off street parking (subject to availability) as well as being only minutes from the City. Lygon Lodge is a non-smoking hotel which has 60 rooms where you will be able to relax in comfort with all rooms having individually controlled air conditioning, private bathroom, hair dryer, tea and coffee making facilities, radio, LCD Wall Mounted Digital Television, direct dial phone (STD and ISD), refrigerator, iron and board. Limited free parking available (subject to availability). Starbus Airport Shuttle is the most direct option as the service will pick up and drop off at the front of the hotel. 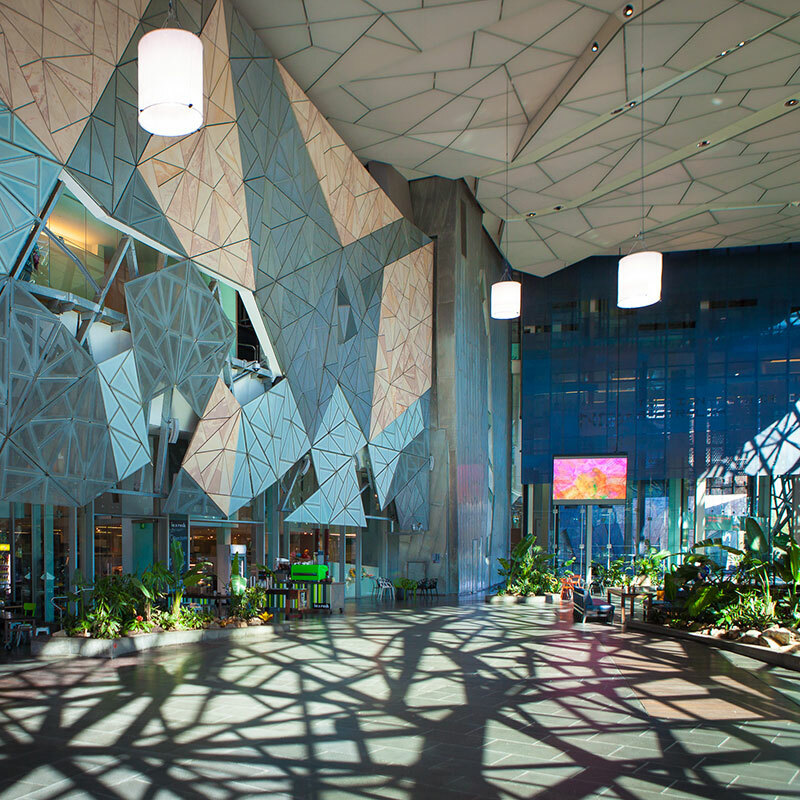 For bookings and timetable information, call Starbus directly +61 3 8378 8700 or visit their website. Alternatively, the taxi fare from Tullamarine Airport is approximately $60 AUD. 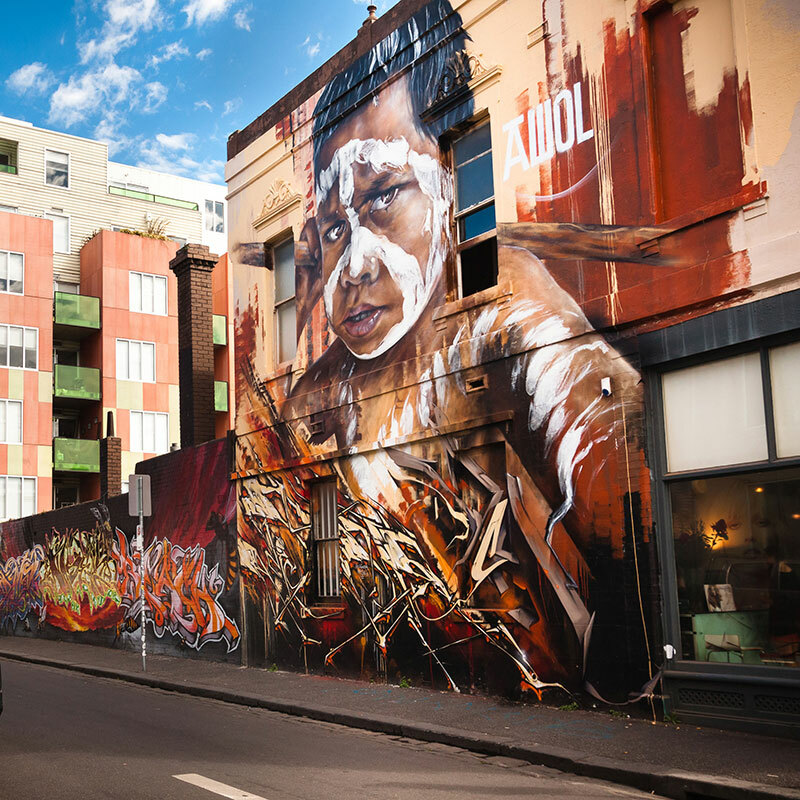 The international flavour of the City of Melbourne is no better reflected than in Lygon Street, Carlton. 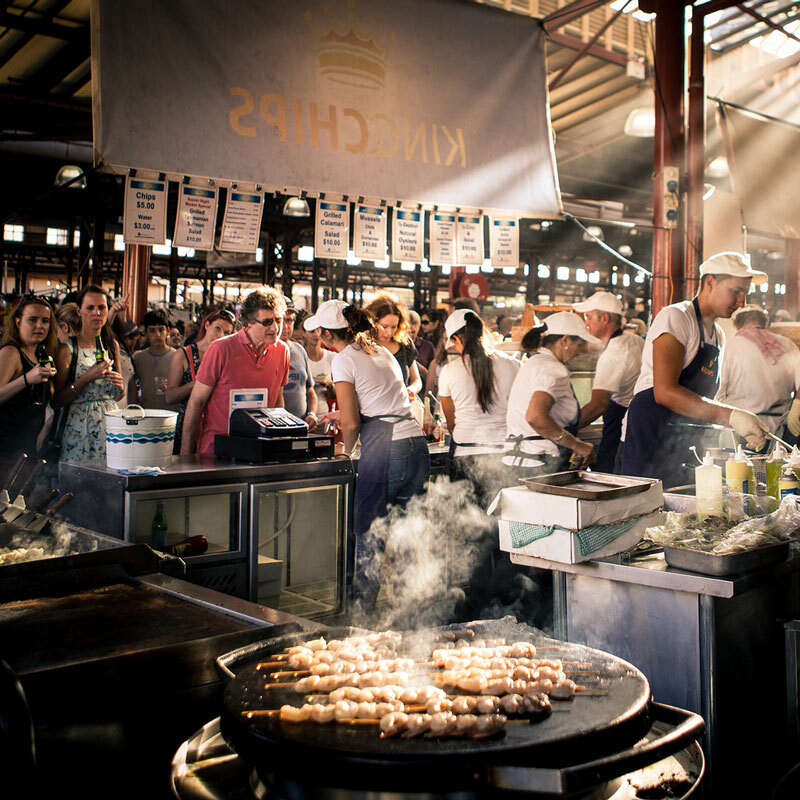 Renowned world-wide, Lygon Street's range of fine restaurants and cafes cater for a diversity of tastes with an emphasis strongly European. 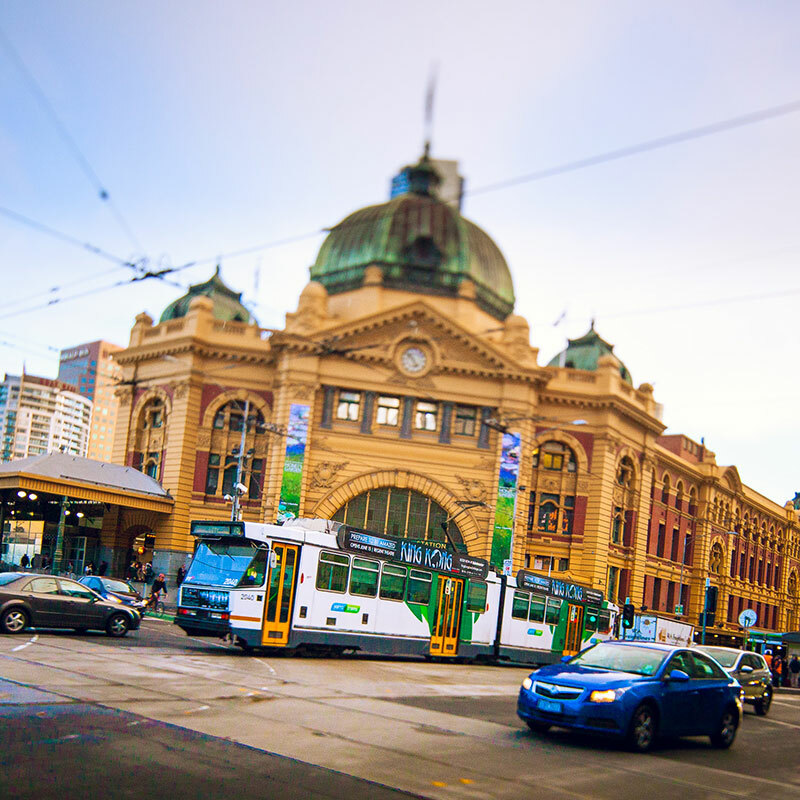 Linger over a cappuccino before shopping at the many boutiques and specialty stores along Lygon Sreet or catch a tram to one of Melbourne's great attractions. 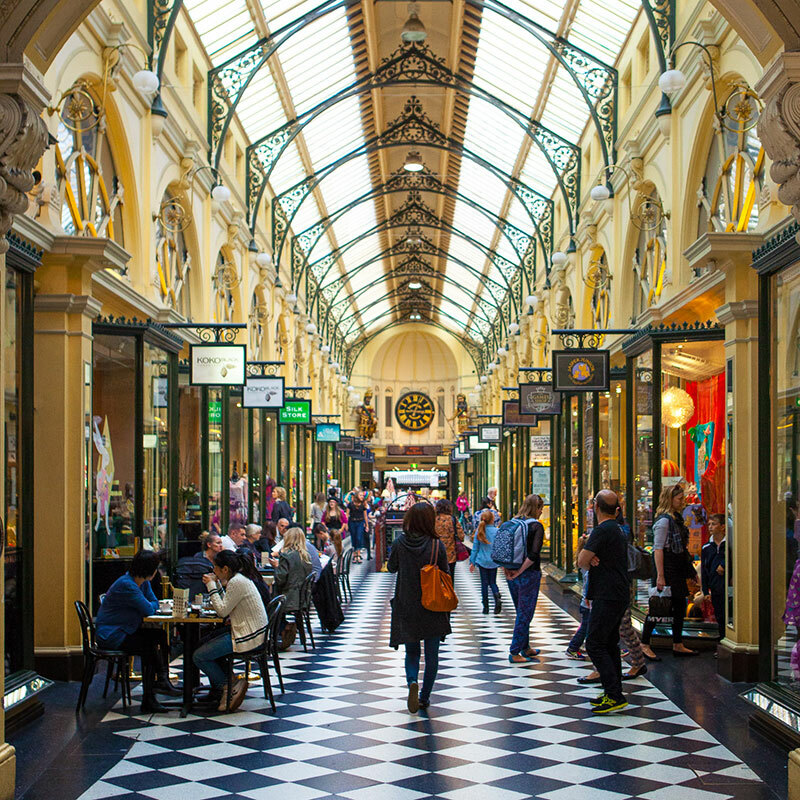 Visit the Queen Victoria Market, and negotiate a bargain on anything from antiques to fine leatherware, or travel into the City and shop at various Melbourne complexes. 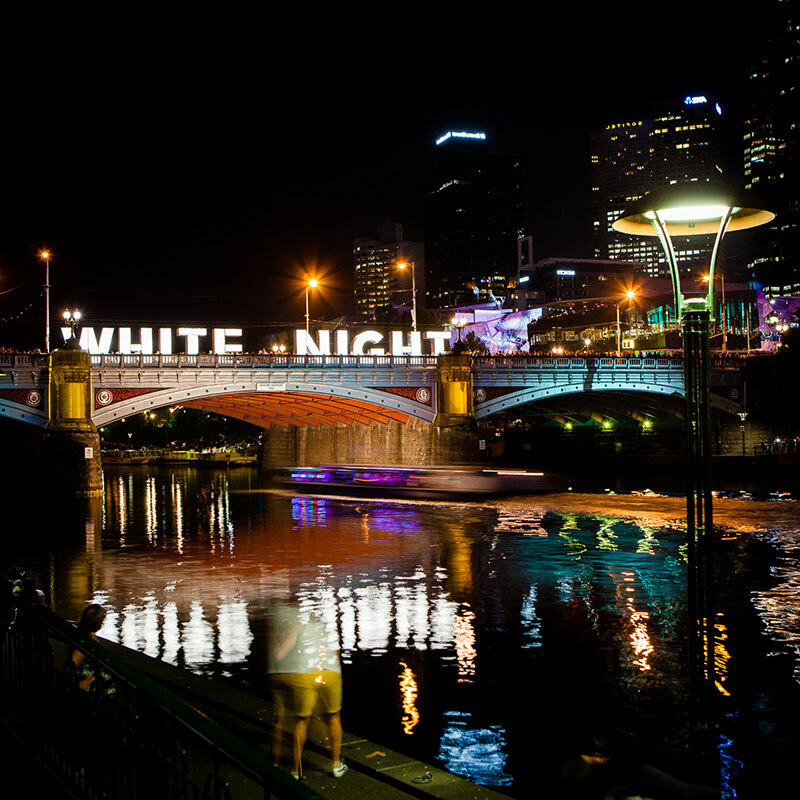 At night Lygon Street lights up! 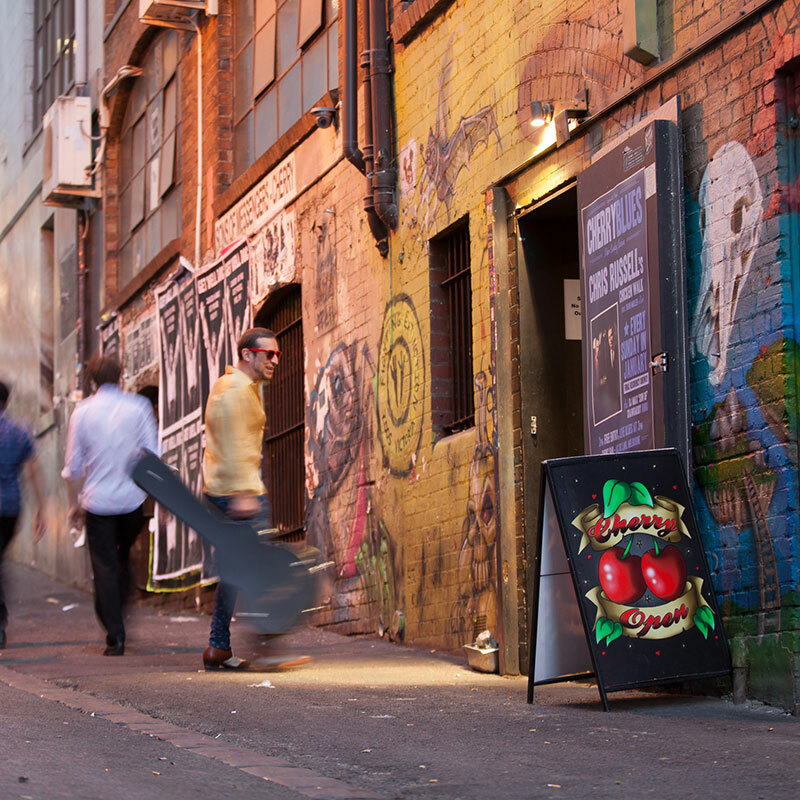 An after-dinner stroll to soak up all the cosmopolitan abundance is the ideal start to your night of theatre, cabaret or dancing till dawn. 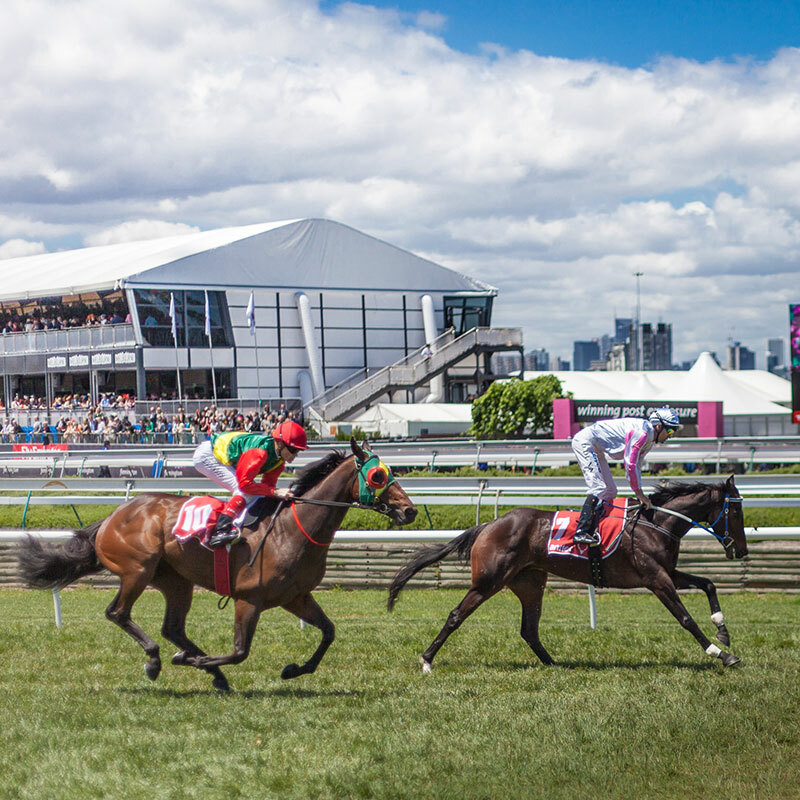 Lygon Lodge is within walking distance of Melbourne's premier sporting and entertainment venues - the M.C.G., The National Tennis Centre and Flemington Racecourse are a short taxi ride away. 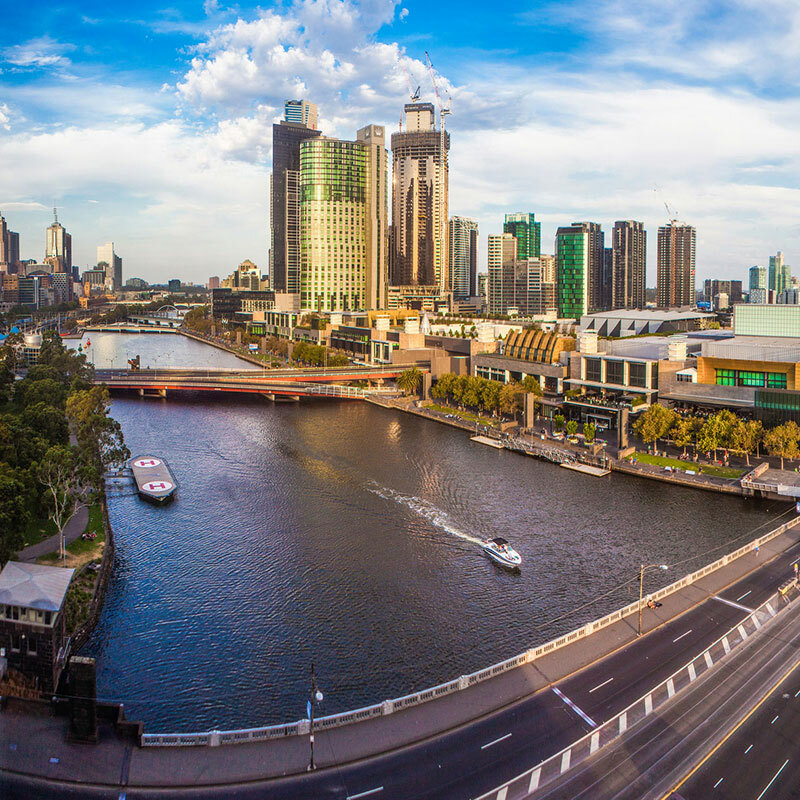 Tourist attractions such as the Old Melbourne Gaol, Museum and Royal Melbourne Zoo are all within easy reach - a leisurely walk brings you to Melbourne's Exhibition Buildings and gardens where a variety of special interest displays and shows are held throughout the year. Front Executive Suite, Executive Twin Suite, Execuitve Suite, Apartment, Twin Suite and Standard Suite. See below for a selection of the rooms we have available. All rooms are non-smoking. 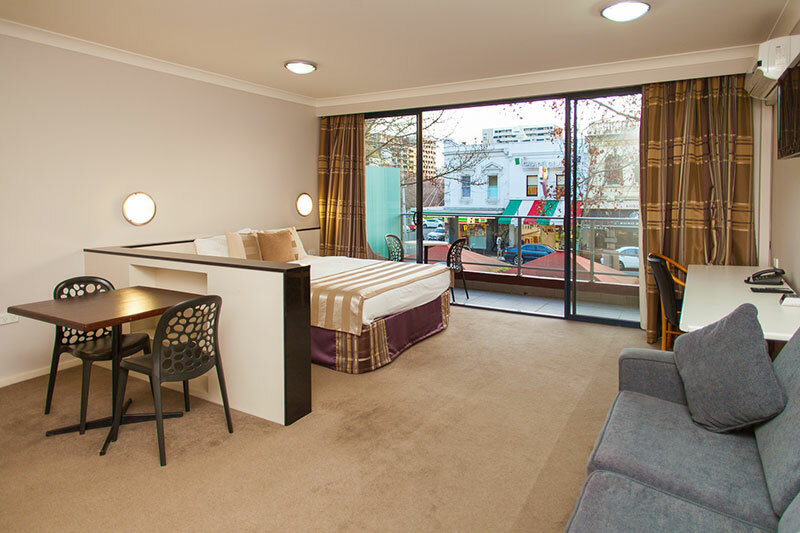 Exceptionally spacious suite overlooking world famous Lygon Street. 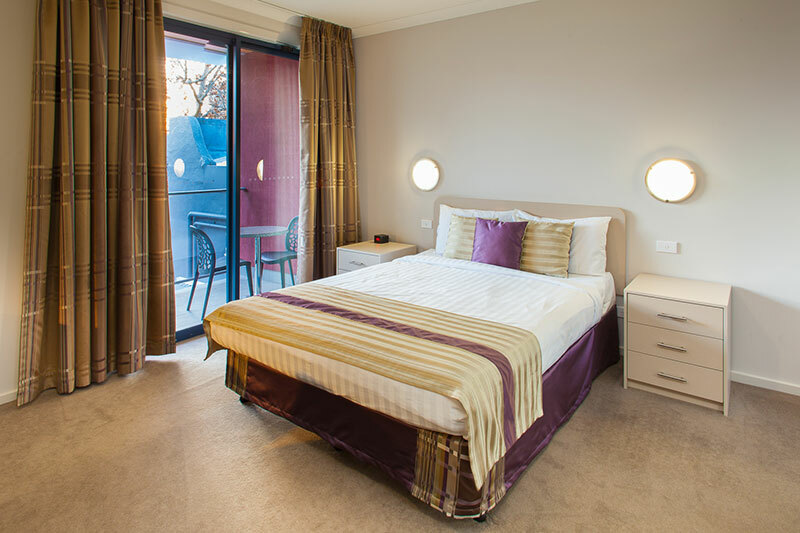 Limited number of oversized suites consist of a queen size bed, ensuite, kitchenette and spacious balcony. This room type can accommodate up to 2 guests. 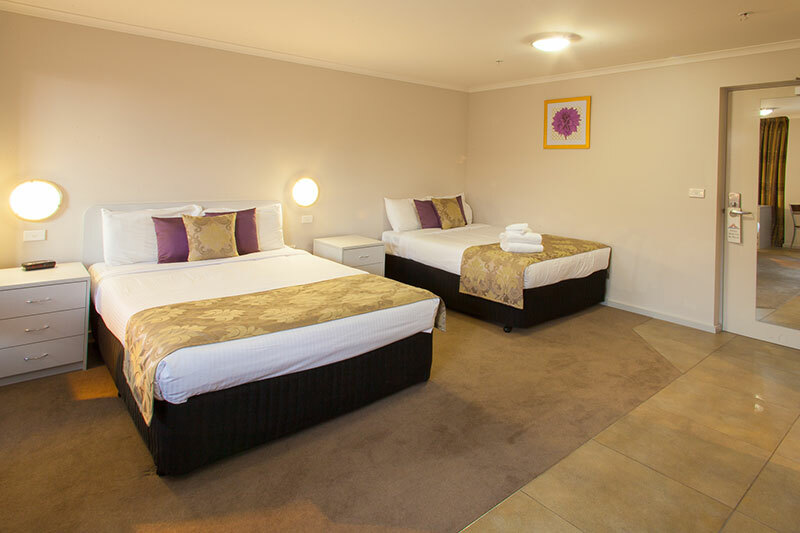 Our Executive Twin Suites are studio style suites with one Queen sized bed and one King Single bed. This room type can accommodate up to 3 guests. 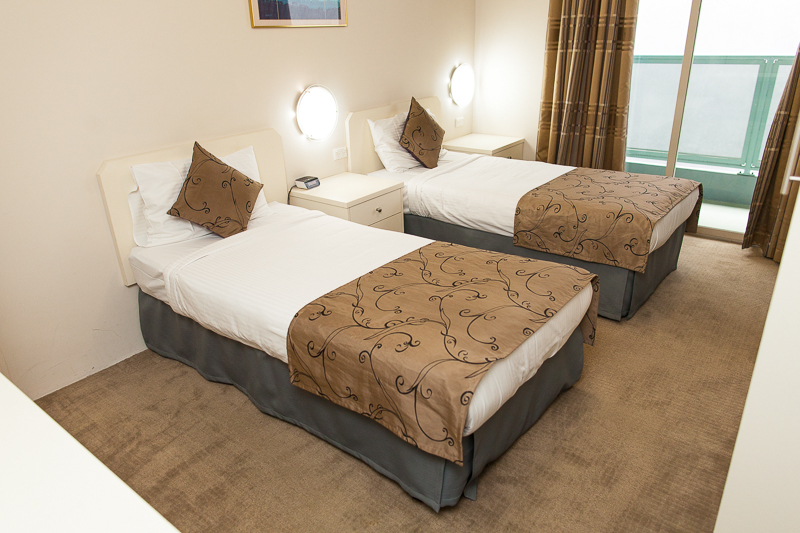 Our Executive Suites are refurbished suites with a queen size bed - perfect for the corporate traveller. 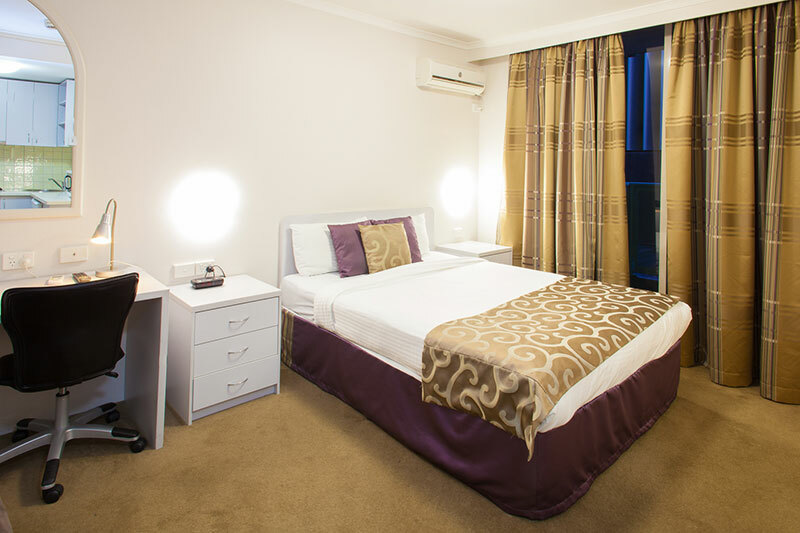 This room type can accommodate up to 2 guests. 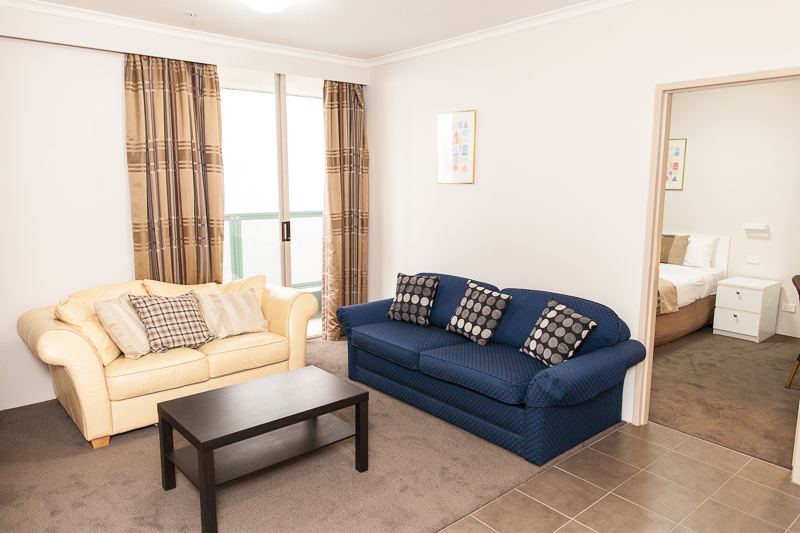 The Apartment has a separate bedroom with 1 Queen sized bed and a lounge area which can be utilised as a second bedroom by converting the sofa couch into a bed. This room type can accommodate up to 3 guests. 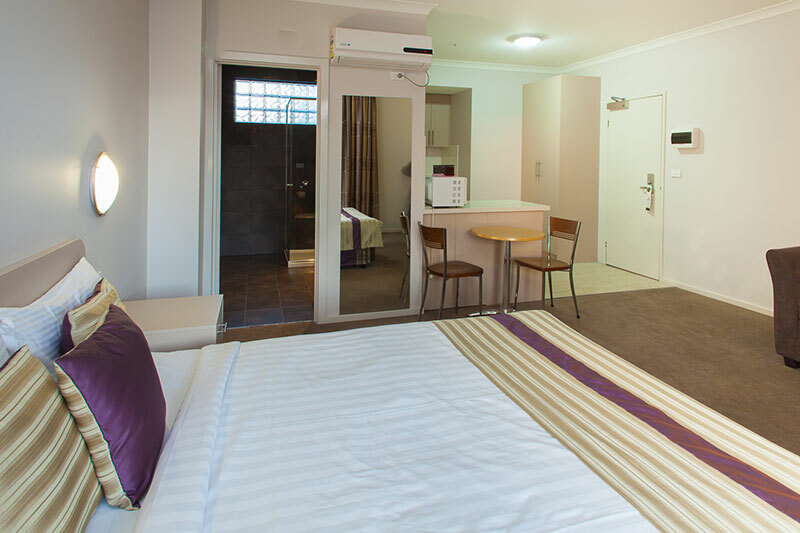 Our Twin Suite consists of two single beds, en suite bathroom, LCD TV and balcony. 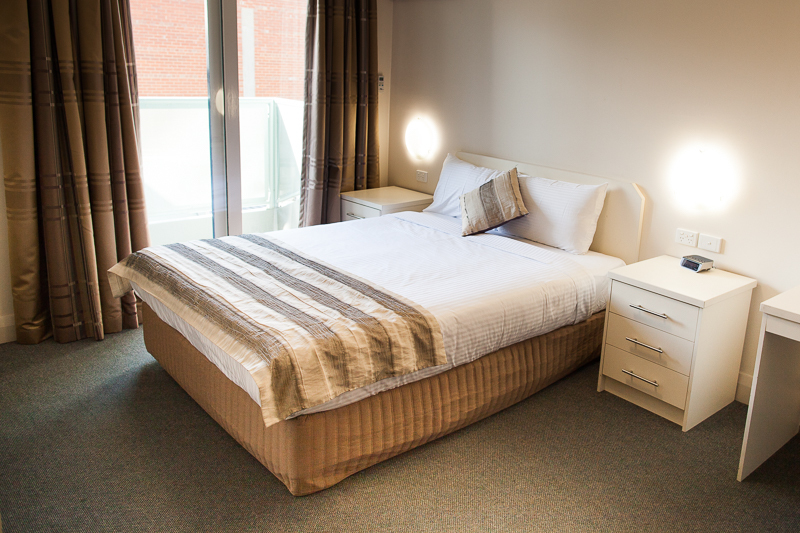 Our twin suites do not have kitchenettes, however do have tea/coffee making facilities. This room type can accommodate up to 2 guests. 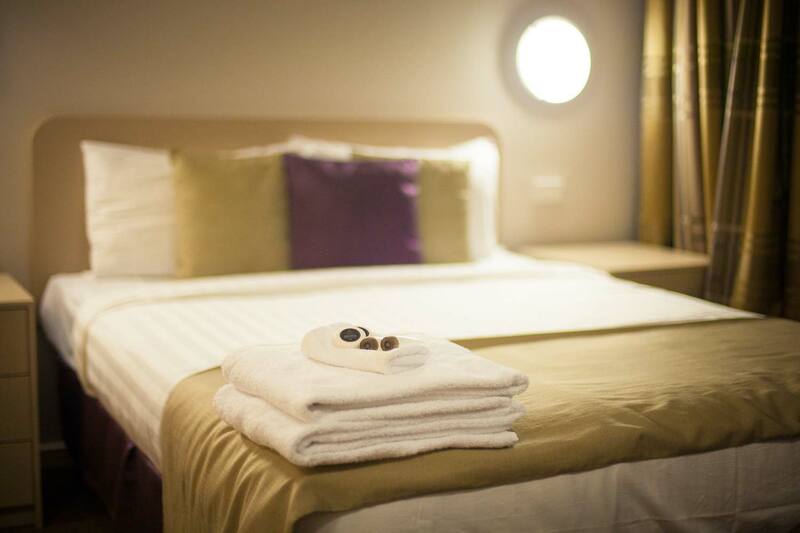 Our Standard Suite consists of one queen size bed, en suite bathroom, kitchenette, LCD TV and balcony. This room type can accommodate up to 2 guests. Our reception is open 24 hours so someone is always available to assist you. 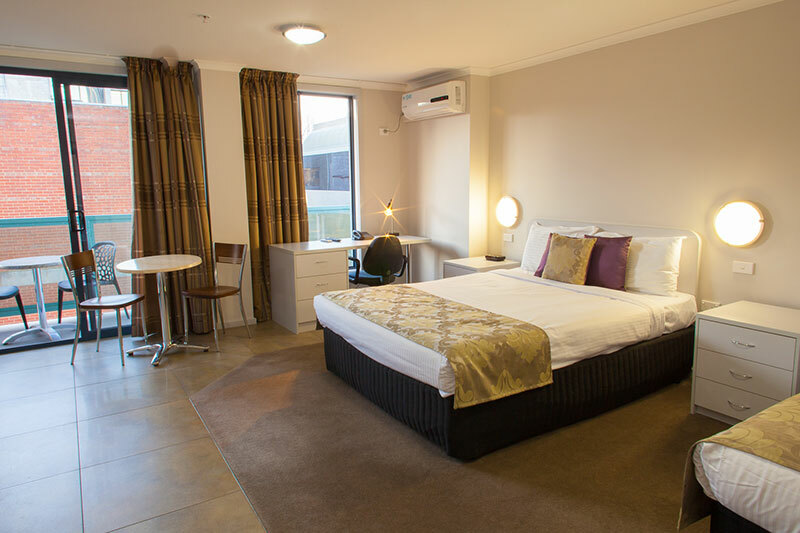 You can contact us any time on +61 3 9663 6633 or via email: email@lygonlodge.com.au. The hotel offers free, limited off-street parking which is subject to availability at the time of arrival and cannot be pre-booked. On street ticketed parking available Monday-Friday between 6.30pm and 7.30am. On street ticketed parking available Saturday from 7.30am until 12.30pm. On street free parking available from 12.30pm Saturday until 7.30am Mondays. Please check council signage before parking. 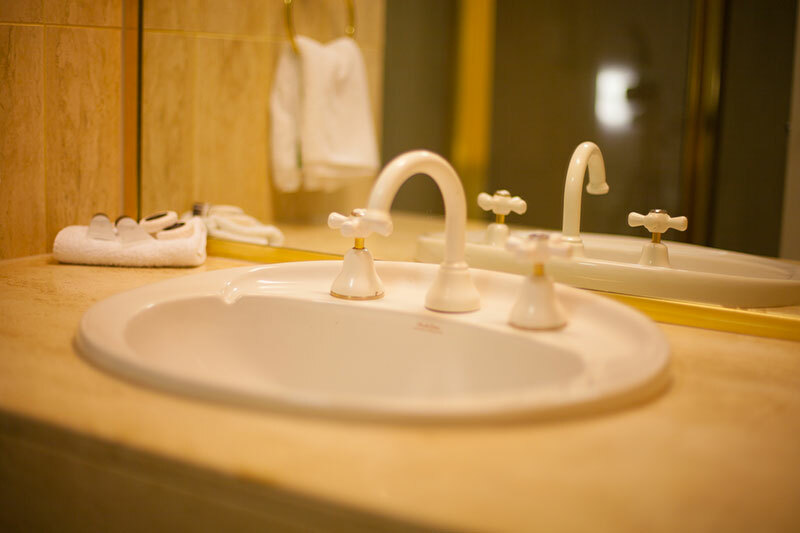 Coin operated washing machines and dryers are available for Guest use. The laundry is open from 2pm - 11pm daily. We accept Visa and Mastercards. 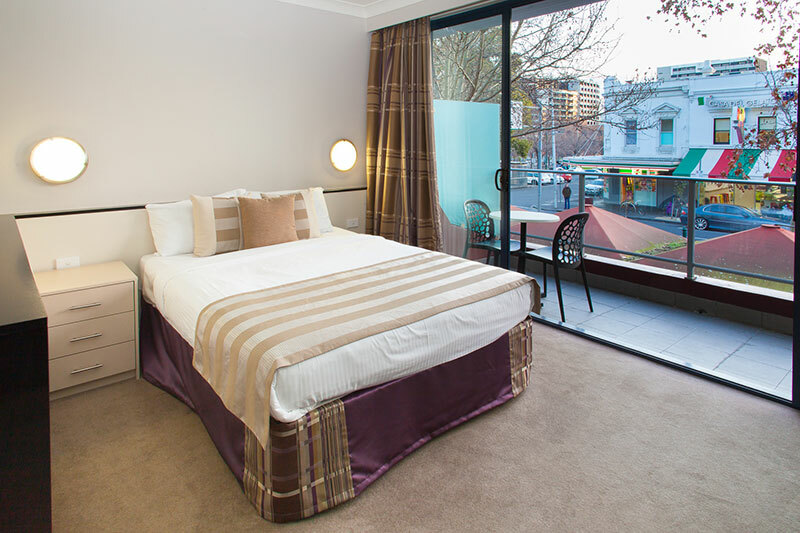 "This beaut motel is in the centre of busy Carlton amid great shopping, wonderful eateries and very close to the city. The accommodation was all you could want plus a big balcony and the best shower I've ever had. We stayed in Room 305. I recommend it." 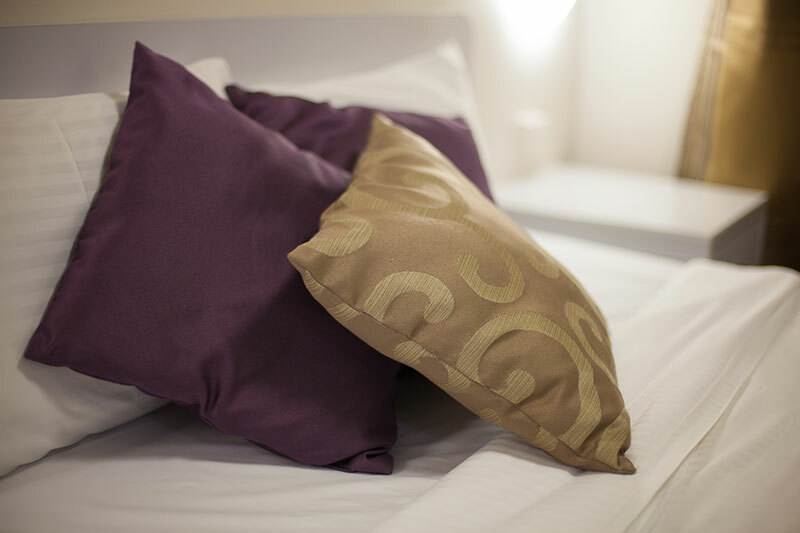 "Lovely small hotel in a great position for eating out, shopping, visiting tourist attractions and transport. 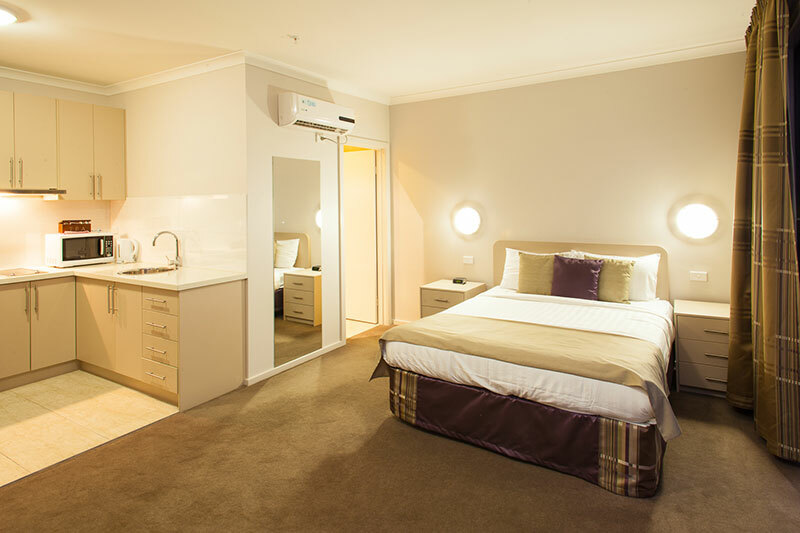 Comfortable room with everything you need . Helpful and pleasant staff." 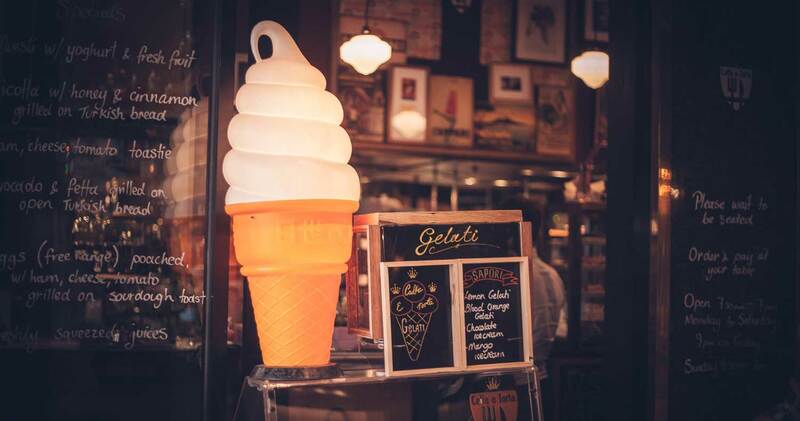 "The friendly and helpful staff. The location was perfect for all we wanted to do. The secure parking. 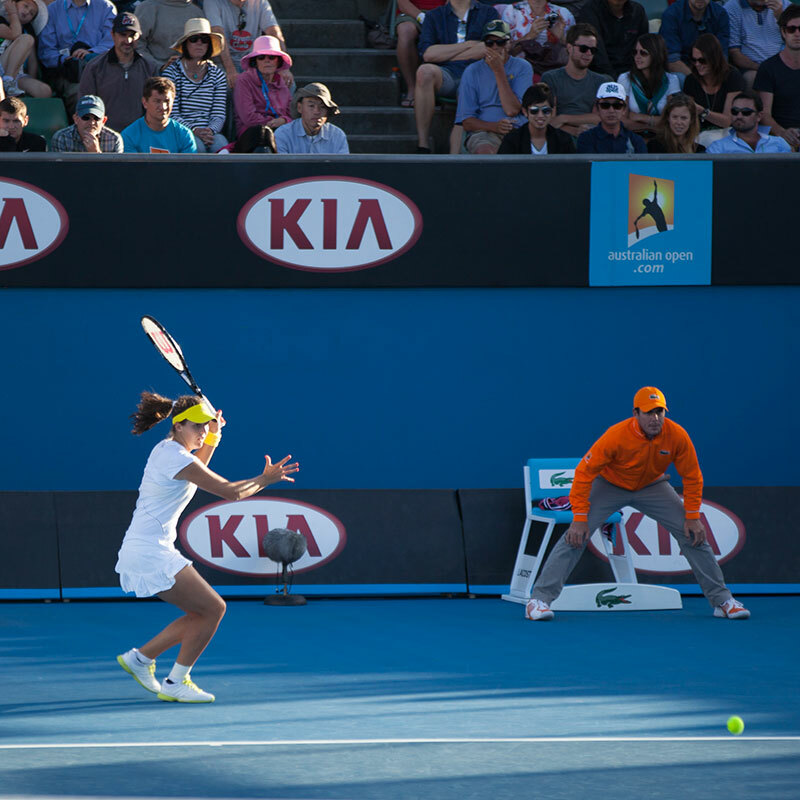 Booking online was easy." "I chose LL for price, which was very competitive. The room was clean and well-looked after. Front desk service was friendly and staff very helpful. 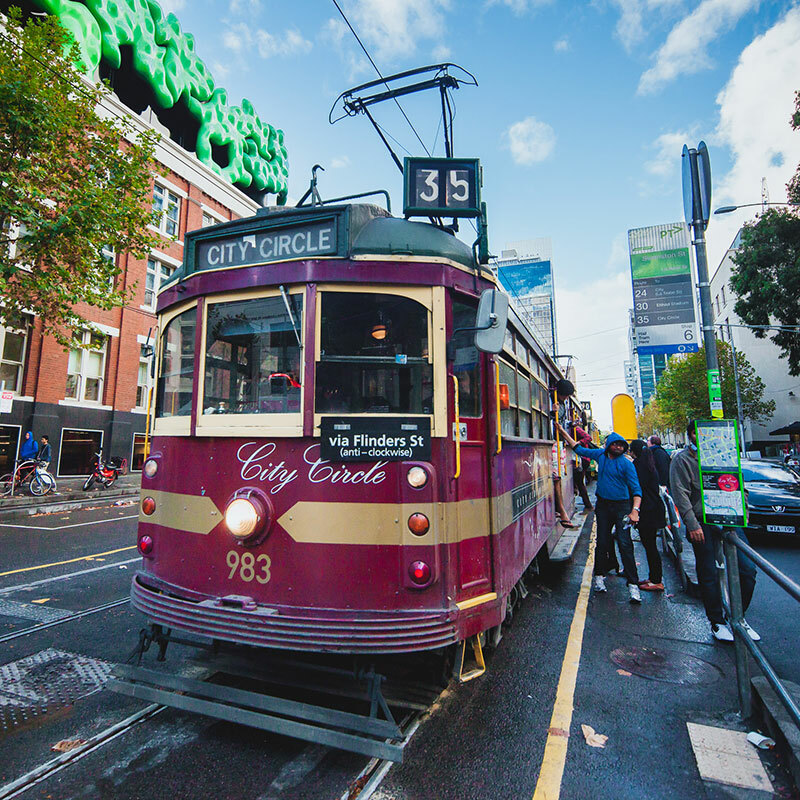 The location is perfect for people who want the Lygon St experience, though I chose it because it was within walking distance to Uni of Melbourne. The room was comfortable and the wifi worked well. I didn't have a car, but I thought the free parking was a great money-saving bonus. I will definitely stay there again. 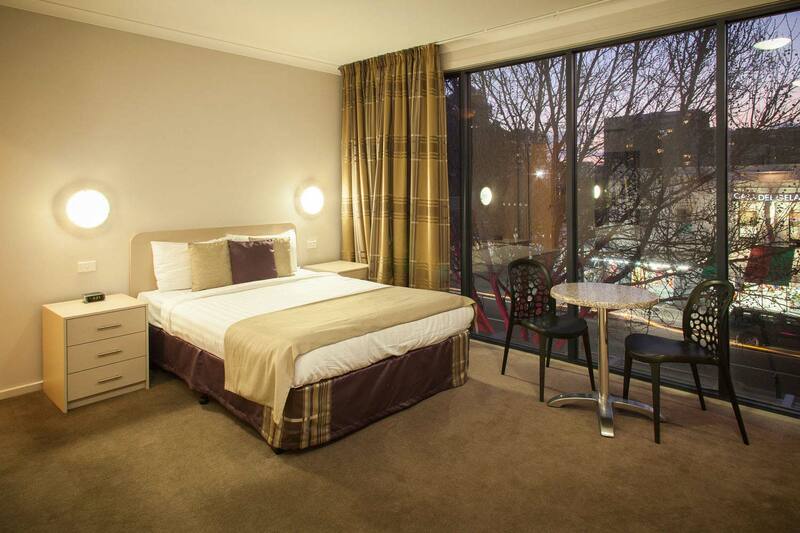 Although right on Lygon Street, noise was at a minimum and I was able to sleep well." 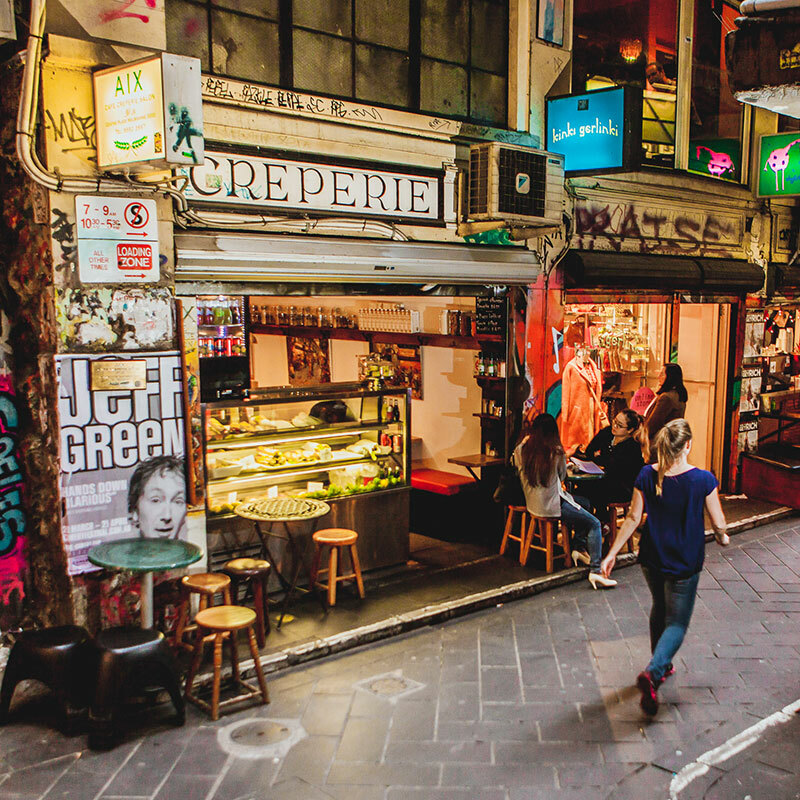 "Restaurants at the door, a few minutes walk to swanston st tram to everywhere. Small comfortable unit . Bed really comfy, kitchenette handy. Overall would definitely recommend." 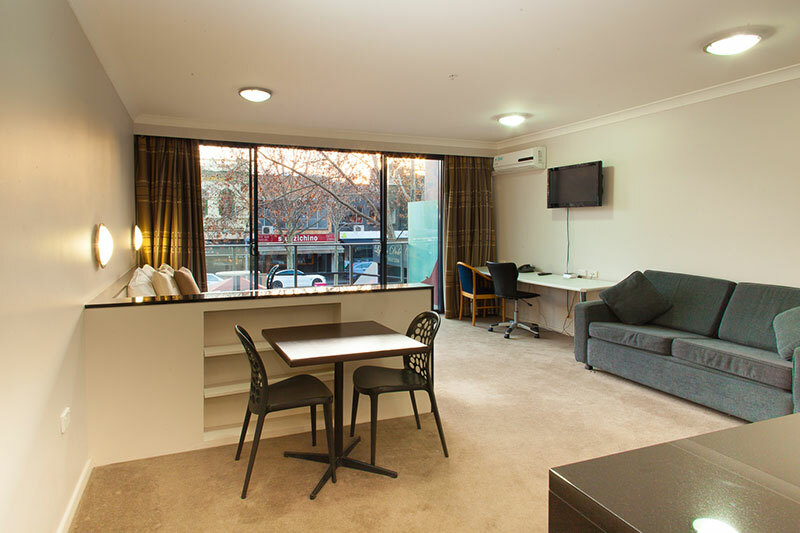 "Best place to stay if you need a location close to Melbourne CBD and the excellent food of Lygon Street."